As followers of Christ, we are marked by whose we are—and we are His. A weak gospel foundation leads to very fragile mission practices. We must have a solid biblical foundation and a true understanding of the mission He has placed us on if we are to boldly live for Him and impact the world for His Kingdom. Get the full study experience by downloading the resources below. This Leader’s Guide contains over 100 pages of in-depth narrative teaching with direction for group discussion and helpful answers to biblical questions. 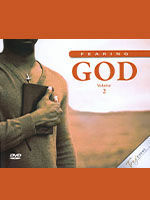 It moves beyond knowledge to the real-life application of God’s Word in either personal or group study. Un cristianismo cómodo a menudo significa un cristianismo débil. 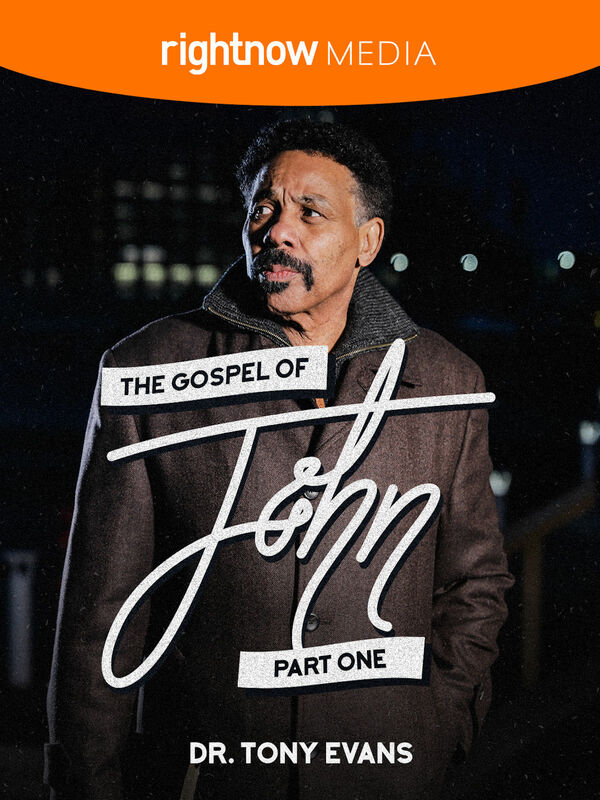 En este estudio de las tres epístolas de Juan, el doctor Tony Evans reta a los cristianos que están cómodos y satisfechos con su fe. La comunión con Dios es la esencia de nuestra fe y Tony nos guía a través de I, II & III de Juan para ilustrar amor, obediencia y verdad. En un mundo que odia a Jesús, se nos ha llamado a amarle y a amar a Su pueblo con un amor implacable. God loves comebacks. No matter how difficult or trying circumstances may be, God is in the business of reversing the irreversible to make His name known. 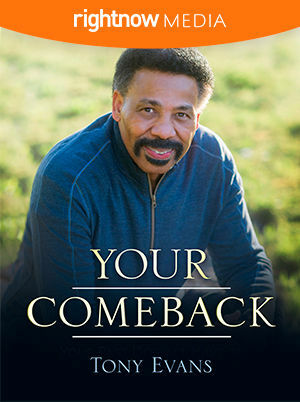 In this 5-part series, pastor Tony Evans will journey through the Bible to study examples of comebacks as well as the principles God prescribes for our lives as we wait on Him. 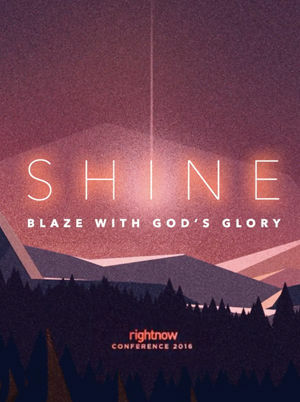 Regardless of your situation, God is near and working for His glory and for your good. Comfortable Christianity often means a weak Christianity. 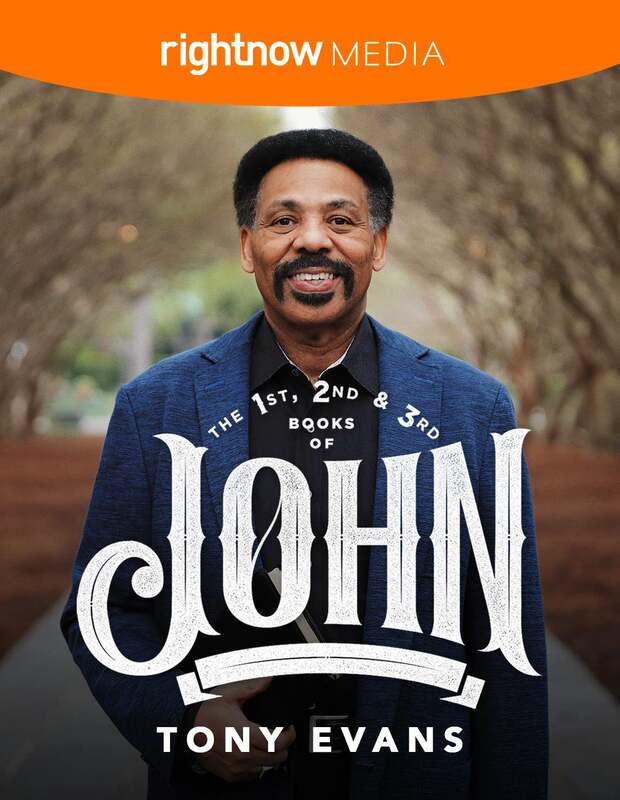 In this study on John’s three letters, Dr. Tony Evans challenges Christians who have grown comfortable and complacent in their faith. Fellowship with God is the essence of our faith, and Tony walks through 1, 2 & 3 John to paint a picture of love, obedience, and truth. In a world that hates Jesus, we are called to love Him and His people with a fierce love. Get the full study experience by downloading the resources below. This Leader's Guide contains over 60 pages of in-depth narrative teaching with direction for group discussion and helpful answers to biblical questions. 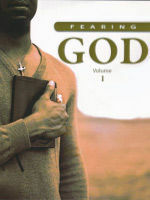 It moves beyond knowledge to the real-life application of God's Word in either personal or group study. Also, if you're leading a group through this study, Tony has some words of guidance for you in this training post. "Does it really matter what I say?" Your greatest weapon—for good or evil—is in your mouth. Discover the power of the spoken word to bolster your faith when you're doubting. Discern what should or shouldn't be said so that you honor God with your speech. Develop the ability to praise God and voice wisdom even in tough circumstances. 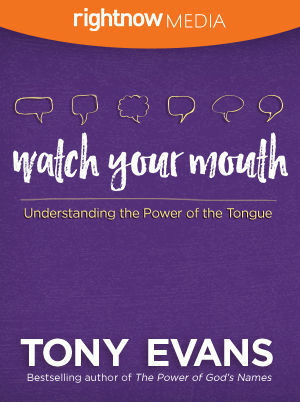 Get inspired by Tony's teaching on the tongue and model with your mouth the character of God. Don't let your words bring cursing or destruction to yourself and those you love. Instead, let your words minister to and speak life into the world around you. Black/white relations in the culture at large and in the church in particular continue to be a stain on America's respectable reputation. 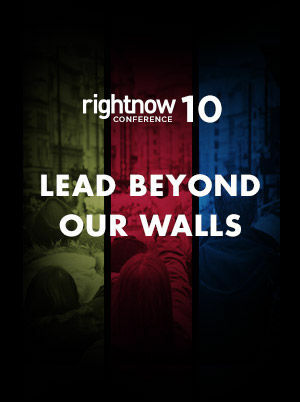 The church has clearly failed and must seek to function by God's kingdom perspective. 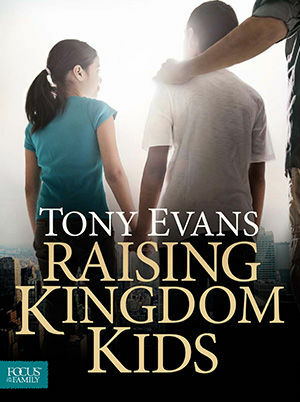 In this legacy message, Tony Evans seeks to promote a biblical understanding of the kingdom foundation of oneness by detailing why we don't have it, what we need to do to get it, and what it will look like when we live it. 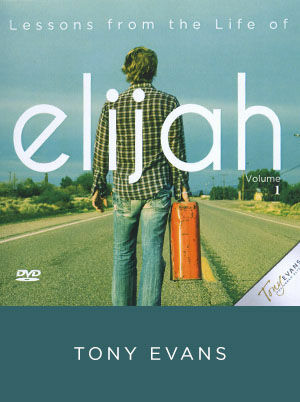 Fully encompassing areas of unity, history, culture, the church and social justice, Evans looks to the scriptures for the balance between righteousness and justice that is crucial for applying in this generation and in training the next. A full section on black church history provides a background and understanding that has often been neglected. Recalling experiences in his own evangelical journey, Evans shares kingdom minded approaches for biblical justice and social restoration. To better glorify God and help heal the persistent racial divide, all church members would do well to read and learn from Oneness Embraced. In 1973, Birmingham was torn by racism and hate. God worked through the Woodlawn high school football team to unite the city and ignite a spiritual awakening. This revival was nothing short of miraculous. Could it happen again? 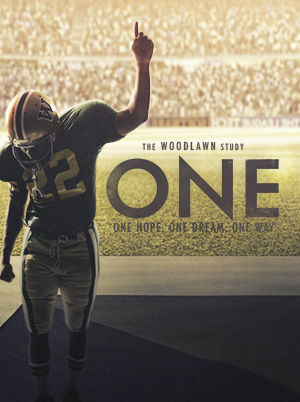 ONE (The Woodlawn Study) features powerful scenes and exclusive footage from the movie Woodlawn to discover the answer...it only takes one person to start a revolution. What if that person is you? With teaching by Pastors Dave Stone and Dr. Tony Evans, ONE (The Woodlawn Study) prepares your heart to experience and embrace a move of God. 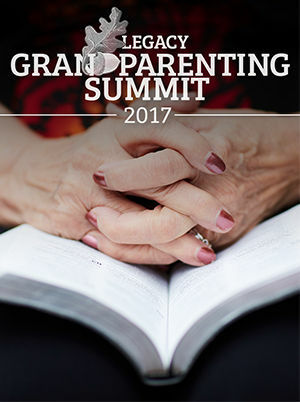 Contains practical examples and illustrations to help parents grow kids' faith, with specific instruction in the power of prayer, wisdom,love of God's Word, getting through trials, controlling the tongue, developing patience, and the surrender of service. A kingdom woman gives the devil as much reason to fear as a kingdom man. She lives confidently in the knowledge that Christ died and rose for her so that she can experience the significance of the destiny to which she has been called. 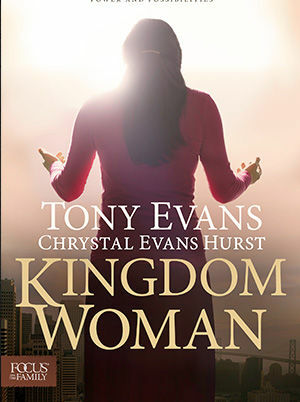 In Kingdom Woman, Tony Evans and his daughter, Chrystal Evans Hurst, remind women of their calling from God to be free,delivered,healed,and hopeful. The authors bring insight that encourages women to correct distorted perceptions and understand who they really are in Christ-never setting for less when connected with the One who gives them hope. All believers are covered by God's covenant with Abraham. Evans and Hurst want women to know these rights and confidently claim and live by them. The new covenant offers more than a life of mediocrity. A kingdom woman is called and empowered to live a life of victory through Christ! 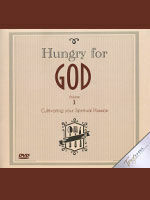 When we are passionately pursuing God and when we are seriously hungry for Him, we are going to face some painful challenges. God desires to grow and strengthen the faith of His followers, and the road to mature faith will not always be easy. We can cower at the crises we face and simply hope for the best, or we can face these challenges with purpose and seek to understand what God wants to teach us. This series will give an indepth examinatin of what it means to fear God and how this truth will transform and bless every area of our lives. This series will give an indepth examination of what it means to fear God and how this truth will transform and bless every area of our lives. Elijah showed up in Israel because the nation had lost sight of its first love. God sent His prophet to combat the idolatry that had taken worship away from its only rightful recipient. 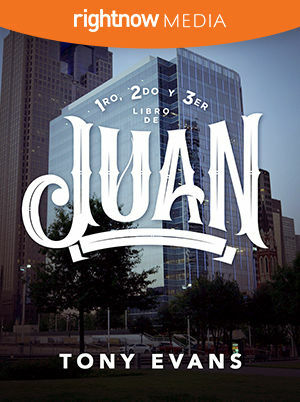 It may have different names and outlets today, but the same idolatry still plagues out world. Dr. Tony Evans teaches through the life of the prophet Elijah to encourage us towards faith, integrity, conviction, restoration, and commitment to God. Elijah showed up in Israel because the nation had lost sight of its first love. God sent His prophet to combat the idolatry that had taken worship away from its only rightful recipient. It may have different names and outlets today, but the same idolatry still plagues our world. Dr. Tony Evans teaches through the life of the prophet Elijah to encourage us towards faith,integrity,conviction,restoration, and commitment to God. 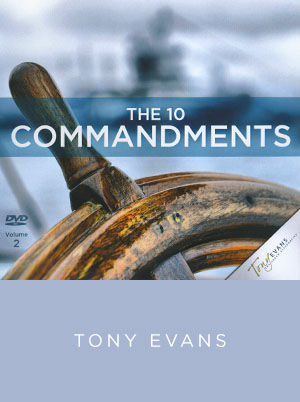 In this series, Dr. Evans teaches on each of the Ten Commandments and their relevancy to our daily lives.